Caching plugins have become a popular way to increase the load speed of WordPress sites. While they work well for static content such as pages and blog posts, they can interfere with registrations in Event Espresso. The content from Event Espresso changes with each ticket you sell and the event information needs to be updated and correct for the next person registering. In this article, we’ll learn how to create exclusion rules or no-cache rules for Event Espresso content. We will first need to locate the pages that we want to add to the no-cache list. Begin by logging into your WordPress admin. Then locate Event Espresso in the admin menus and click on General Settings. Once on this page, click on Critical Pages tab. The Critical Pages are pages that Event Espresso needs to run correctly and they will all need to be added to the no-cache list. Make note of your slugs — especially if you have customized them on your site. Now to go the settings for your caching plugin and clear the cache once. Then locate the area to enter the no-cache/exclusion rules. This varies from caching plugin to caching plugin so we have listed steps for some of the popular caching plugins. Login to your WordPress admin. Then locate Quick Cache in the WordPress admin menus and click on it. Scroll down the page and find the area for URI Exclusion Patterns. 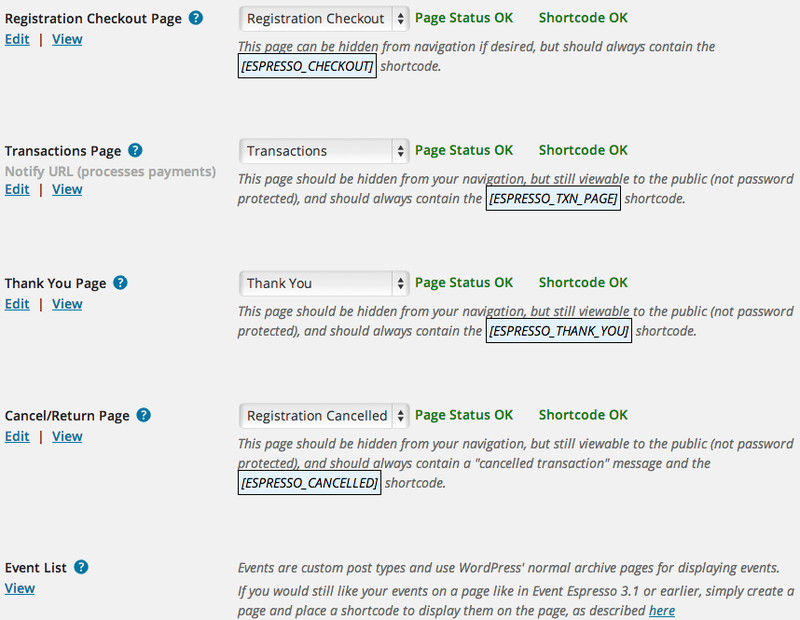 Add your slugs for your critical pages in Event Espresso and save changes. Then clear the cache (if your plugin doesn’t on its own). Note: URI Exclusion Patterns is currently an option in the pro version of Quick Cache. Then clear the cache by clicking on the Purge SG Cache link which appears on the admin toolbar in your WordPress Dashboard. Add your slugs for your critical pages in Event Espresso and save changes. Then clear the cache (if your plugin doesn’t on its own). You will also need to disable Object Caching and Database Caching in the W3TC settings. Add your slugs for your critical pages in Event Espresso and save changes. Then clear the cache. Some managed WordPress hosts such as WP Engine have an internal caching system. You’ll need to reach out to your web host directly to request that no-cache rules be setup for your critical pages in Event Espresso. From time to time, some caching files become damaged and will not clear even after clicking to clear the cache. If this happens, you can manually clear the cache by logging into your WordPress root with an SFTP or FTP client such as FileZilla or CyberDuck. Then browse to wp-content folder and remove any cache-related files (e.g. cache_ and advanced_cache). Then return to your WordPress admin and clear the cache one more time.